For those of different faiths and that may not have been reading prior posts, one of the main restrictions during the 8 days of Passover is no eating bread. My family loves the Chicken Milanese that I have made. I thought I would try the same concept but use Matzah Meal. Normally, when breading chicken, you set up a dredging station with beaten eggs, flour and breadcrumbs. This recipe had to eliminate the flour and used the Matzah Meal in lieu of the breadcrumbs. As you will see from the picture, the result was incredibly close. My critical assessment is that the chicken was not as moist as normal. I think that the Matzah Meal is not as moist as normal breadcrumbs. So I would try to cook the chicken on high heat in the saute pan and finish the cooking process in the oven. Slice the chicken breasts in half horizontally. Then, pound the halves to about 1/4″ of thickness. In 2 separate bowls, beat the eggs into 1 bowl, and add the Matzah Meal and spices into the other bowl. Heat the canola oil on medium high heat. Dredge the chicken breasts in the egg mixture, shaking off excess. Then, drop in the Matzah Meal and cover both sides of the breast well. Place gently into the pan. Saute 3 minutes per side. Move to a cooling rack to let the excess oil drip off. Finish browning all the chicken breasts. Finish by cooking in a 275 degree oven for approximately 10 minutes. Enjoy! 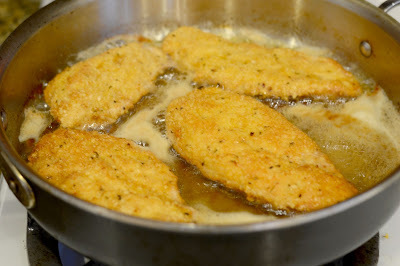 Have you tried merely spraying the cutlets with oil spray, dredging, and baking them? 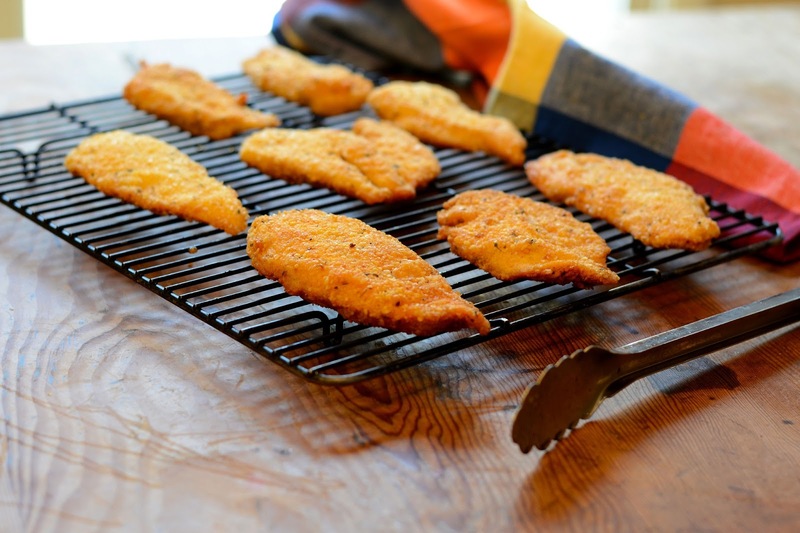 Many people reheat the cutlets on a heating tray -this is a super alternative. Ora, those are all good suggestions. I have not tried that method. That would clearly be healthier. I will need to do that and I have the chance this upcoming week. So check back in to see my post somewhere down the road.